In a bid to overcome its ever-growing economical burden Pakistan feels that the success of China-Pakistan Economic Corridor (CPEC) is the only possible solution to overcome this criticality. And to ensure that if it comes to sacrifice the interest of own Pakistanis then so be it. 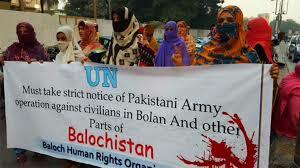 It, however, once again rakes up the question, Is Balochistan is Pakistan? No, it is not as it has been forcibly occupied by the Pakistan forces in 1948. But if Pakistan claims Balochistan to be it’s own then why Balochis are treated as third-grade citizens and are being deprived of their own rights in their own land. From the area point of view, Pakistan will be half of its size if Balochistan province moves away. With immense natural wealth, Balochistan is almost half of Pakistan’s territory yet it still remains as underdeveloped as it was. Pakistan government may deny but as per United Nations Development Program (UNDP), Balochistan is Pakistan’s poorest province while the other provinces particularly Punjab and Sindh are prospering by each day. Mostly desert, Balochistan is also Pakistan’s least populous province with a home to around 13 million people as Pakistan’s total population hovers around 198 million. With such a large difference in the population ratio nothing, much has been done for the native people. 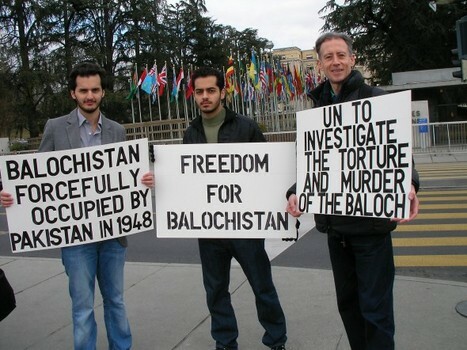 Baloch people, therefore, demand independence and the region has been seeing insurgent movements by various separatist groups. This has led to the Pak Army atrocities against the locals in the name of combating insurgents but thousands of innocent civilians have lost their lives in the bargain. Balochistan was promised stars when Pakistan brought in the China-Pakistan Economic Corridor (CPEC) an economic program valued at $62 billion in the region. Huge share out of the revenue generated by various projects under CPEC was promised to them as East-Bay Expressway was planned through the area including various projects which were expected to help the locals. Port and special economic zone of Gwadar in southwest Balochistan is one such project which is to form the western hub of land transportation networks emanating through China and the rest of Pakistan. Gwadar’s deep-sea port and location near the Middle East are valuable to both Chinese and Pakistani shipping interests but it seems it has no benefits for the locals who have virtually been displaced from their own land to make way for Chinese settlers. It is expected that Gwadar will have more than 500,000 Chinese workers by 2022. There have been only assurances and Baloch people feel that the project will not benefit them or bring development to their province even when the Gwadar project is being touted as “linchpin” of CPEC in Pakistan. As usual, only Punjabis and Chinese from outside the province are likely to be benefitted, and the majority of development in Balochistan will only be concentrated in Gwadar, rather than the rest of the province. Ethnic Balochs, particularly fishermen, have been protesting continually for having been driven away from Gwadar and they feel that it is part of a conspiracy to turn Gwadar into a non-Baloch enclave. Protesting fishermen are also against the construction of East Bay Expressway which has severely affected their livelihood by cutting off their routes to the Arabian Sea. Various Baloch organizations are protesting the world over and accusing Pakistan government of illegal sale of their land to Chinese. On January 29, The Free Balochistan Movement (FBM) had organized a two-day protest outside the Grosvenor Hotel in London, against the sale of Baloch lands in Pakistan’s port city of Gwadar. The protesters fear that China and Pakistan are aiming to change the demography of Balochistan by settling hundreds of thousands of Punjabis and Chinese in Gwadar. On the name of development, native people have driven away from their own land. 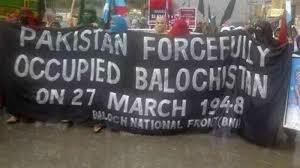 Any protests in the region are termed as an insurgency by the Pakistan Army and dealt with raw force even killing innocent Baloch women and children with no exception whether it is Gwadar, Turbat, Kolwah or Dera Bugti. Last year in December the Balochistan Assembly had unanimously passed a resolution to demand its due share in CPEC asking the federal government to constitute a national commission to settle the “injudicious distribution of projects and funds”. With Pakistan agreeing to just 9% of the total revenue generated from Gwadar port and balance 91% going the Chinese way for next 40 years is sheer injustice to the whole of Balochistan who has 4.5% of overall share in the CPEC. As per Balochistan Chief Minister Jam Kamal, this share comes to meager 1% if Gwadar Port and HUBCO projects are excluded. This is simply letting down the so-called own people. It is just the disillusionment for Balochistan, who was promised a second largest share of investment from among the other provinces in the initial envisioned plan in CPEC. According to the Financial Times, only two out of the 21 energy projects that were projected to be installed through CPEC are in Balochistan. Rubbing more salt to the wounds it was recently disclosed that in last five years no work under CPEC outside Gwadar has been done. With these ground realities, how the Balochs and the various separatist groups based in Balochistan are ever going to believe that CPEC projects in the province are actually for the benefit of the people living there. This frustration is probably resulting in the increased insurgent attacks in the region particularly targeting the Chinese working for CPEC and it will keep increasing till such time Balochistan feels of being let down by Pakstan.